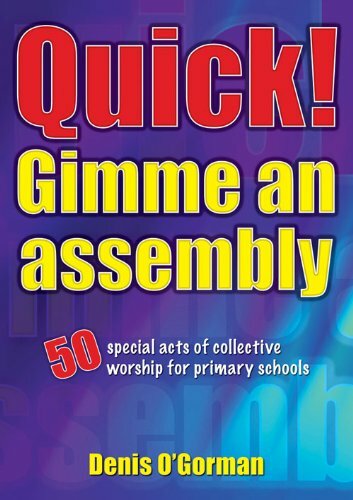 50 special acts of collective worship for primary schools. The deliberately short, sharp, punchy approach of Quick! Gimme an assembly fits in well with the style of presentation familiar to primary school children. There are themes - such as The Bully, The Harvest Festival and The Paperboy - suggested visual aids and songs and prayers.